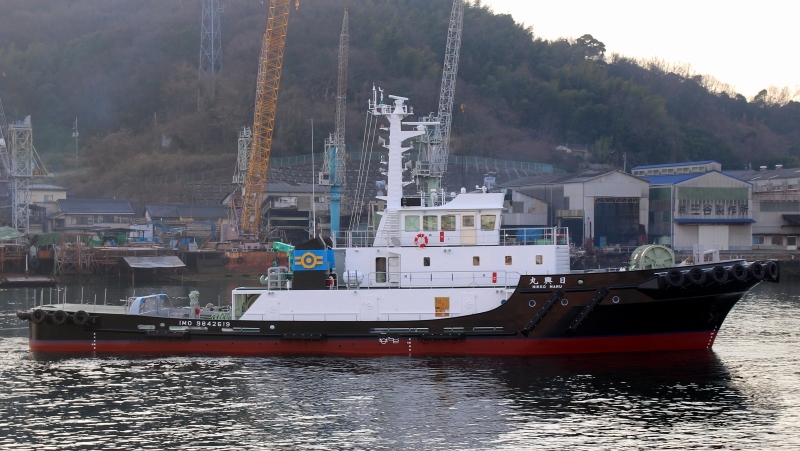 One new tug seen at Onomichi. Thanks for the info, David. She does look like a proper "towing tug", unlike those smaller ones used only for docking/undocking of vessels. An interesting hull colour - looks classy - and still on trials today.